I love to write. I guess most bloggers do. Written words have always been better friends to me than spoken ones, at least as far as my own are concerned. If I were asked to speak in front of others, I would cringe and slink to the back of the room, but if asked to write my thoughts for the same group, no problem. Since my cancer diagnosis, I find writing to be a very tangible, therapeutic tool. Writing forces me to think more clearly. Writing gives me a sense of purpose. Writing revitalizes me and almost always makes me feel better. Writing is visual proof I have accomplished something. Writing gives me confidence and inspires me to write more. The down side of writing, for me anyway, is I often wake up in the middle of the night and my writer brain kicks into gear before I fall back asleep. I can’t seem to stop ideas from tumbling around in my head. Sometimes I do get good ones and I probably should write them down immediately, but I’m pretty sure turning on the light and doing so would be highly annoying to Dear Hubby, so I just try to remember and write them down when I get up. Besides if I did get up and start writing, I’m pretty sure nights with sleep would cease to exist for me. And a good night’s sleep is hard enough to come by lately. When you are going through cancer, or any trying time in your life, writing, or more specifically journaling, is a very powerful tool to help you cope, which unfortunately not enough people tap into. 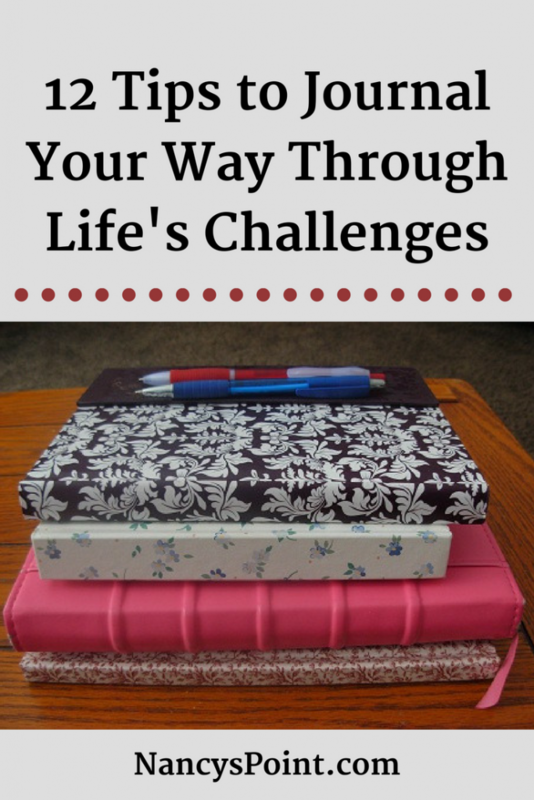 Journaling can help get you through the rough patches. Just seeing your thoughts and feelings written down somehow validates them, even if you are the only one seeing them. Journaling is almost like having your own therapist literally at your fingertips! Actually, journaling is a great tool for recording every day experiences of life such as parenthood, travel and work. Anyone can benefit from journaling. Even ordinary things that now feel mundane, might later be precious memories. Through the years, I have kept numerous diaries or journals. Growing up, it seemed I started a new diary each year, always promising to write faithfully. Some years I did and some I did not. A few of those diaries are still locked, continuing to safe guard secrets of my youth. Even now, all these years later, I hesitate to unlock them. It almost feels wrong somehow. I’m thankful for the safe sanctuary writing provides me. I’m not sure how I could cope without writing. Writing IS how I cope. That’s an empowering statement, is it not? 1. Decide what format you want to use. I still like to purchase a journal in book form because I like an actual visual “container” for my thoughts. Plus, a journal in book or notebook form has a more intimate feel to it. Also, a person’s personality comes through in their penmanship. That’s an added touch to your journal when it’s finished. However, if you prefer, you can certainly use your computer. 2. Try to set aside a few minutes each day or at least a few times each week to journal, so you get into the habit of writing. It doesn’t have to be the same time of day. 3. Decide if your journal will be for your eyes only, or if others will eventually be allowed to read it. 4. It sounds obvious, but date each entry. Our memories fade fast and we won’t remember them. 5. If you have trouble getting started, simply record the date, weather, news events or family happenings and record your reactions to them. 6. Join an online journaling group or take a community education class. 7. Think of journaling as another exercise, one for your mind. You are NOT wasting time! 8. Tell yourself you are creating a learning tool for yourself or a visual recording of your own personal history. 9. Try playing relaxing music or lighting a candle while you write. 11. Make up prompts for yourself. For example, visualize yourself in retirement, on vacation, finished with chemo or living a life without cancer. 12. Be honest about your hopes, fears, dreams, frustrations and well, everything. Otherwise, what’s the point? After journaling for a period of time, go back and reread your entries. If you have been truly honest, you just might be astonished by how much you have grown. You may be surprised how well you survived. Most importantly I hope, like me, you will have discovered a love for journaling! Do you keep a journal? What are your tips? Did anyone ever read your journal/diary without your permission? What is your greatest stumbling block when writing? Oh Nancy, I feel exactly the same way about writing. I find my blog so freeing, a way to organize my thoughts and free therapy. Thank you for sharing your tips – and keep writing! Tina, Thank you for commenting. I knew you’d feel that way. You keep writing as well! I go through the days with a camera in my purse at all times, because at least once I think “I gotta blog about THIS”… it’s like my whole life is viewed through a story all of a sudden. Michelle, That is so funny, I do the same thing because I never know when I’ll want to take a photo! I also feel like my life has become a story of sorts, such as it is. Thanks for your comments. Last night I got in and out of bed about six times because I had to write something down for my blog because I knew my chemo brain would not retain it until morning. This morning, I put the notepad back on my bedside table, but somehow, the gremlins will, once again, steal it for mundane things like grocery lists and today’s “to do” list. Brenda, Thanks for commenting here. I appreciate the time and effort doing so must take these days. I know you totally understand about the need to journal. I hope you are keeping yours going during this trying time in your life, more importantly, I hope your writing helps you to heal and allows you a safe place to vent. Sami, Thanks for sharing here, Sami. It’s wonderful that you did journal through that difficult time in your life because as painful as the entries may be to read, they are still precious memories for you to always have. I look forward to the days when you are ready to share some of those stories on your blog. Maryann, I guess I’m not surprised so many bloggers also journal! How many journals are sitting on that shelf of yours and does anybody get to read them? Thanks for sharing how you have journaled. Nancy, I understand exactly your dilemma re not wanting to wake your husband to jot down something at night. Through the years and through necessity, I have developed the art of writing in the dark. I always keep blank paper/pen on the locker beside my bed and write notes/ideas for myself if/when I waken with same during the night. It’s never pitch black and I can almost always make out my scribble in the morning. If I didn’t get the idea out of my head and down on paper I just wouldn’t be able to get back to sleep. I always keep single sheets rather than a notebook to allow me take away the sheet (or sheets!) of paper in the morning, and not have to remember returning a notebook. I find some of my best ideas come to me during the night. Love your tips on journaling. Lily, It’s good to hear I am not alone in this! Imagining you writing down your ideas in the dark gave me a chuckle; why do some of those ideas seem to want to present themselves in the middle of the night anyway? I understand what you mean about needing to get the idea out of your head or you cannot fall back asleep. I’ll have to keep your suggestion in mind. Thanks for sharing what works for you. I, too, have always been a writer, and I find blogging so therapeutic. Oddly, I was never a journal writer until after cancer. I journal to keep the demons of fear at bay and to write about anything that comes to mind at that point, even the good things. I also use journals in book format. It really is my deepest friend, the one I can write anything I want in. Needless to say, I don’t allow anyone to look at it. Have you read The Artist’s Way by Julia Cameron? If not, I think you’d love it. It’s a really great book about freeing the writer within and keeping journals. Beth, Thanks for commenting and for the book suggestion, I have not read that one and will have to look for it, thank you. Somehow I figured you to be one who journals! I don’t allow others to read mine either! Nancy, great tips! I’ve always kept a journal but since I started blogging two years ago, the blog(s) have taken the place of journal writing. Marie, Thanks so much for reading and commenting, Marie. I find it harder to get time to journal since blogging, however, I do still try to do it because I write a lot more freely there! Great ideas! I tried to start a journal at the beginning of my journey, but alas, I was not very successful…. Awesome tips/ideas! Good luck with your journal! Lisa, Thanks for commenting. I guess you could always try again! Thanks for your post on journaling. Like you, I find it very therapeutic. When I underwent chemo, the nurses gave me a journal made by a pharmaceutical company. It contained reflective statements to prompt the writer to express anger and other emotions, but I opted instead for the blank pages. In those pages I enumerated all the many blessings I received from my cancer journey. (Seems counterintuitive, but it really worked for me.) When I showed these blessings to my 11-year-old son, he decided to start his own little journal of blessings. It was something I will never forget: how children mimic us and feel our pain. How therapeutic to see my son strengthened as he witnessed me walk my walk! Jan, Thanks so much for leaving a comment. It’s wonderful to hear you received a journal from someone on your medical team. I’m sure you were indeed a good role model for your son and I’m glad journaling provided you both with a good avenue to express yourselves. How often do either of you look back on them? Nancy, I don’t know if my son ever goes back to read his journal, but I read mine about once a year to remember those times. And I did take a peek at my son’s, and spoke about this topic, bringing both journals to my talk to show the audience as object lessons. Jan, Thanks for returning here to comment again. I always wonder if people go back and read their old journals. I do, except for the ones that are still locked up. I love how my perspective changes with time. I am passionate about this topic and know how cancer not only affects those suffering, but the family as well. What a great blog. I have created a cancer journal for this specific purpose. Details can be viewed on my site. 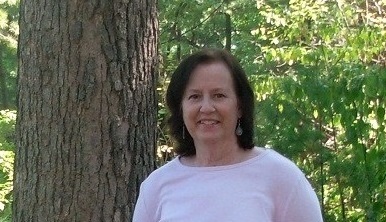 Swannee Rivers, Thank you for finding my blog and commenting. I’ll check out your site soon. I do art journaling…I have found art to be very therapeutic since my advanced cancer diagnosis. Amanda, That sounds like a wonderful form of journaling. I love the idea! Any kind of venue for artistic self-expression can be quite helpful. Thanks for sharing what works for you. I hope you’re doing alright. Nancy, I enjoyed this post. Writing can be really healing and can help us grow in self-understanding. I’ve filled more than 60 blank journal books since I was 8. I love picking out new blank books with lovely covers, and enjoy filling them up. Thanks for sharing about your process. 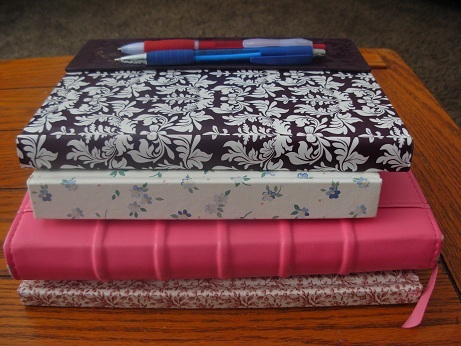 Heidi, Wow – that is a lot of journal books you’ve filled up! That’s truly impressive. I bet it’s pretty fun to go back and read through them from time to time. What an amazing gift to give yourself, and your family if you choose to share them. Thanks for the motivation to keep journaling! I’m having trouble journaling. I kept a journal when our precious only child got a brain tumor. He is doing all right. They got the tumor, which was benign but he was left with epilepsy. He went through a clinical study and now has a neurotransmitter that has so far stopped his seizures for 10 years. We are so grateful to God and Jesus. But it was not easy journaling. So much info given by drs. so quickly. Now my husband has cancer, Lymphoma, and I am again journaling. Again, so much info I can not keep up with all they say. So, I am hoping they will let me tape office visits and such so I can enter the info in my journals. It is frustrating not being able to get all the info down and having them say, no, we did not say that when I have it in my journal. Taping with my IPad would help so much but I am not sure they will let me. Marian, I’m sorry about all you’ve been through. It’s a lot. For me, journaling isn’t just about recording what’s said during medical appointments. It’s also about writing down how you are feeling as a care giver. Your life has been drastically impacted as well. So maybe separating the two kinds of journaling would be helpful. Have one notebook for the appointments and doctor-type stuff and another for just your personal thoughts and reflections. I think many doctors are quite receptive to recording what’s said at appointments as well. It’s hard to keep up sometimes. If they are not, ask them to slow down, repeat things, or clarify when you don’t understand somethng. You deserve nothing less. Good luck and keep us posted. Nancy, I have journaled all my life, but until recently, always held some things back–those dark things I was afraid someone would judge me for should they happen to read them, now, or after my death. Then I started burning my journals. I had read somewhere about burning such things to rid yourself of the negatives clinging on because you still had those thoughts in writing. I don’t know about that, but after I burned them, I felt much freer to write exactly what I thought, and let those really dark things you’re not supposed to even think out on paper. It has helped me so much! Maybe it’s just knowing that no one will read them and form opinions about me after I die, I don’t know, but burning journals after a few years has been very therapeutic and helpful for me. Ellen, Gosh, I don’t think I could ever bring myself to burn diaries or journals. But if that makes you feel more free or helps you in some way, that’s great. After I’m dead and gone, I don’t really care what people find or read about me. Ha. Not sure what that says. I like looking back at dark times and thoughts I’ve written too – and it’s not like there have been that many. I just can’t burn words – mine or anyone else’s. But that’s just me. BTW, this would make an interesting blog post topic, don’t you think? Thank you for sharing. That has been my experience exactly! You can never be sure that no one will read your journal, no matter if it is paper or digital, now or when you are gone. I use my journal most to process the bad things—much less gets written when life is good. So I was always afraid that my great grandchildren or whoever would think me to have bern this incredibly negative person. And we all think awful things that we would never say or act on—I never wrote them because I felt I would be judged harshly for even having such thoughts. Now I can get those feelings off my chest and that really helps to let them go. I am no longer worried about someone seeing them because I know they will be burned, and if it’s something I feel is really awful, I burn just those pages right away. Both the writing and the burning are immensely helpful.